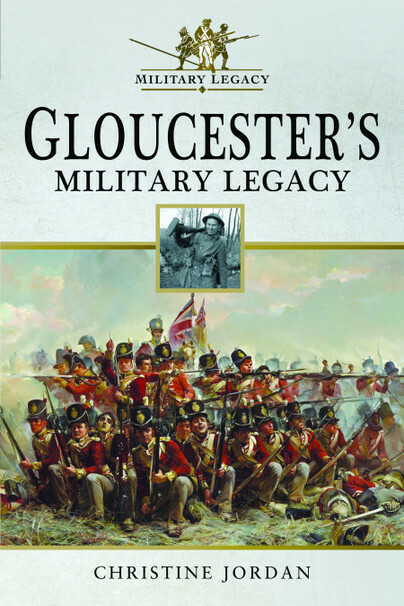 You'll be £6.00 closer to your next £10.00 credit when you purchase Gloucester's Military Legacy. What's this? From the establishment of Gloucester as a Roman colonia, a colony of retired military veterans, the city has held a strategic position, being close to the easiest crossing over the River Severn and into Wales. The Romans began building the city’s defences, including the city walls and bastions, which were further enhanced by the great warrior Aethelflaed and which would become invaluable in the Siege of Gloucester during the Civil War in 1643. These walls would be destroyed by Charles II as a punishment for the city’s role in the conflict. In the twelfth century, Gloucester’s first motte and bailey castle were built and used by a number of kings as a garrison to prepare attacks against the Welsh and the Irish. The formation of what would become known as ‘The Glorious Glosters’, in 1782, led to a number of notable military campaigns, including the battles of Alexandria, Quatre Bras, the Second Boer War, including the Siege of Ladysmith, both World Wars and the Korean War. Christine’s book will take you on an historic journey, uncovering on the way the city’s military legacy. An interesting introductory guide to delve into the history of Gloucester. Whilst necessarily something of an overview, the book’s 128 pages still manage to convey a great deal of interesting information. Gloucester is my home town, and although I don't believe I ever visited the barracks, I do remember my father having many drinking acquaintances amongst the men who were stationed there. This lovekly book delves deep into Gloucestershire's military history, describing various campaigns in which the Gloucestershire infantry were involved. A magnificent memoir. Christine Jordan is the author of a number of non-fiction books about Gloucester, including Secret Gloucester, Gloucester in 50 Buildings and Cultured Gloucester. She is also the author of an historical novel, City of Secrets, set in Gloucester, and writes children’s books set in Gloucester under a pen name C. J. Gloucester. Through her passion for the city she is involved in a community project called Our Life, which is a celebration of unsung heroes where she writes their life stories. For further information, her website can be found at www.christinejordan.co.uk.